Oh Maddy, Maddy, Maddy. Us Fresh Farmers are pretty besotted with you and your approach to eating! If you’ve yet to hear about Madeleine Shaw, prepare yourself for some serious admiration. Not only is she a health coach & bestselling author- she’s also a fantastic chef! 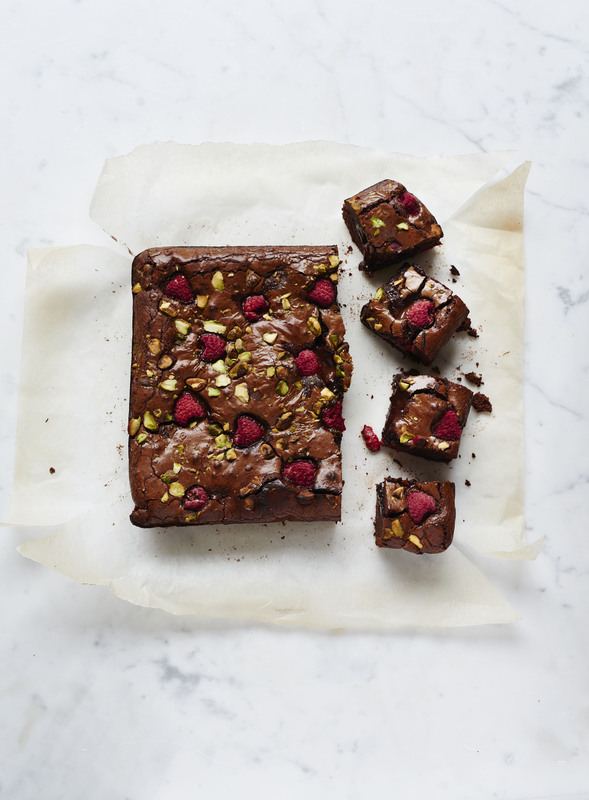 We caught up with Maddy to find out about her story, her new holistic living app The Glow Guides and of course her perfect brownies and how to make them at home! So, Madeleine – How did your food adventure begin? ​My story began when I moved to Sydney. ​I used to live on Diet Coke and rice cakes because I thought that was healthy. I developed terrible digestive problems, so eventually I decided enough was enough. I ​became ​completely besotted by the Sydney lifestyle where people live and breathe health and an active lifestyle was promoted. I started working in an Organic Cafe in Bondi and began educating myself about food. I learnt what to eat, how to cook it, and how to prepare it before I decided to go one step further and study to be a Nutritional Health Coach with IIN. I moved back to the UK​, set up my blog and began creating and sharing my recipes with people. I haven’t stopped since! ​Home cooking – how important is it to you? ​For me as a chef – it’s very important! I love making a mess in my kitchen and getting all the pots, pans and equipment involved. Whether it’s recipe testing or cooking for my boyfriend, I find it really soothing and it helps keep my head clear. It’s also a great way to keep healthy and on track, because you’re not tempted by decadent, sugar-filled desserts. If you were a fruit or vegetable which one would you be and why? We’re loving your app Glow Guides! What inspired you to create it? ​Glow Guides is an 8-week transformational program housed inside an app. It’s bursting full of brand new workout and yoga videos for each week, 8 weeks worth of delicious dietitian-approved meal plans, weekly shopping lists, over 70 new recipes as well as meditation​s, live streams, and a whole community of Glow Girls and Guys who are actively supporting each other. ​I really wanted to ​make a holistic transformational programme that didn’t just focus on physical appearance, and really makes a difference from the inside out. Meditation and yoga is something I’ve really got into and I wanted to share it’s healing powers with others. ​ ​What are your top tips for the colder months and staying bright and energetic? Hydrate with at least 2 litres of water a day – start your day with a big glass of water (yes, before your coffee!) then set reminders on your phone​ ​for the rest of the day, that way you’ll remember to drink lots! Ditch sugar – after a week you’ll feel more energetic, you won’t get the dreaded 4pm slump and you might even shed a few pounds! Bed at 10pm – I keep my phone out of the bedroom which helps me to switch off. I then sleep between 10pm and 6am.